Ensemble by Gary L Wolfe. Our city is especially attuned to the pleasures of street life as the weather turns warmer after months of winter indoor life. 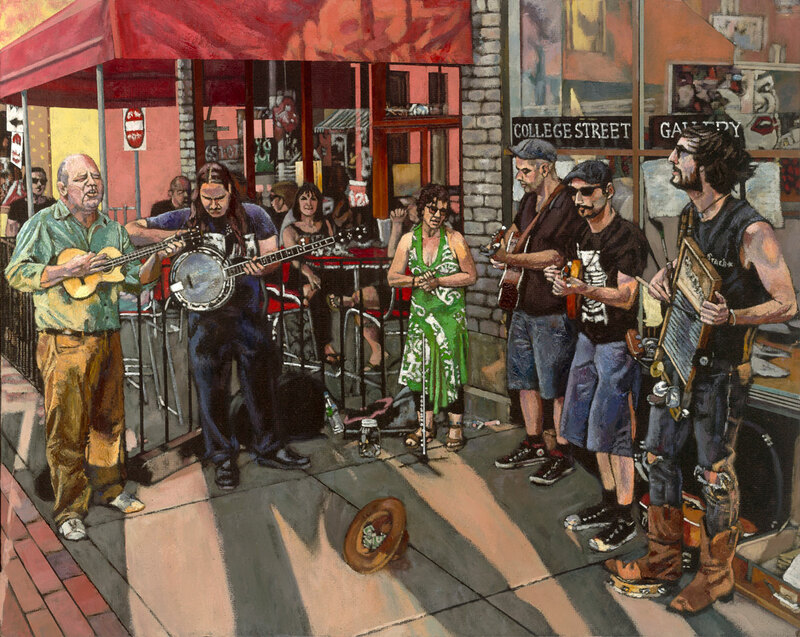 As the season of art walks, festivals, and fairs is just beginning in Western New York, new work by Gary L. Wolfe celebrates the tradition of street musicians. The lone performer or ensemble with donation hat on the ground is a familiar sight throughout the world since ancient times. These artists entertain in exchange for rewards of gratitude—cash, gifts, food, or drink. Wolfe’s performers are immersed in their playing, while those around them are often absorbed in their own psychic space or talking with others. He explains: “As viewers, we come to these paintings and observe them as a momentary interlude in an ongoing narrative; a rest in a resonating melody.” The artist’s work addresses fundamental human concerns. He has previously exhibited a large body of portraits of homeless folks who inhabit our streets.The small side gallery at Starlight features a few selections from his Wall of Forgotten Faces series that points to the suffering, striving, and surviving all around us. A Musical Interlude moves our attention to the hopefulness of social gatherings—the reprieve found in art, music, and celebration. 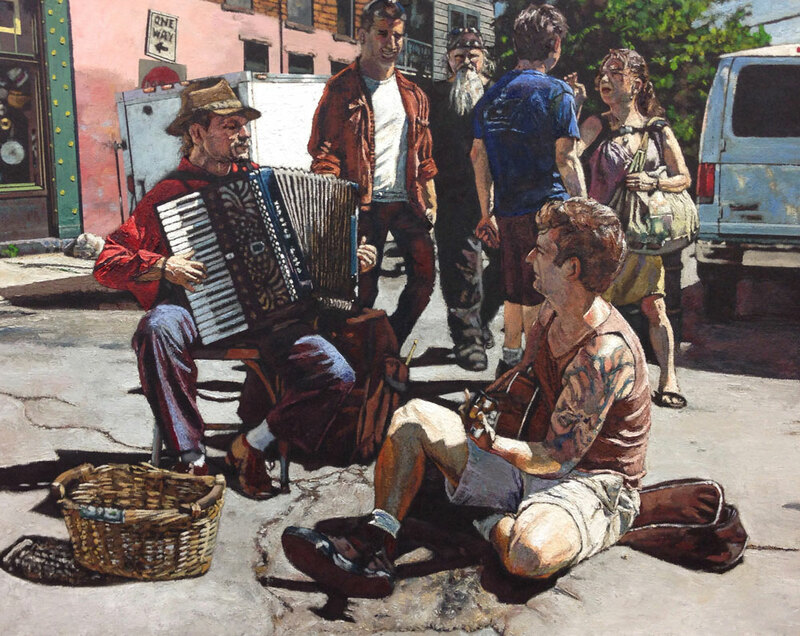 Wolfe works with encaustic and oil on tar paper, materials that highlight the gritty tactile quality of the street and his skillful representational painting ability. 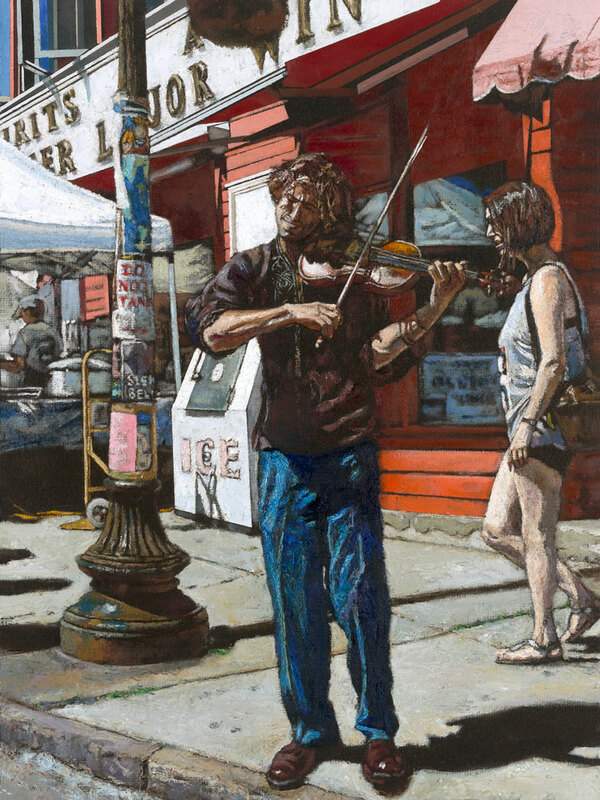 The musician is a traditional subject in painting. Renoir, Manet, and Picasso come to mind. However, these paintings are not portraits of the players. Instead, they reveal entire storied environments full of local color—recognizable people and places in the downtown community. Looking at (seeing) his paintings evokes a bit of synesthesia. The music and voices are almost heard—taste, smell, and touch are activated. A group gathers in front of the former College Street Gallery. A violinist stands between Hardware and Spirits of Allentown. 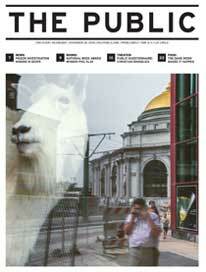 The detailed scenes include posters pasted on lamp posts, deep shadow, tattooed flesh, and eclectic street attire. A sax player dons an over-sized sombrero. A songstress gestures passionately in a flowing vibrant patterned skirt. An assembly of food vendors beckon a crowd of weary walkers, conjuring a felt sense of afternoon heat and the wafting aroma of fried dough. Aldous Huxley wrote: “After silence, that which comes nearest to expressing the inexpressible is music.” The busker is one who seeks after this ineffable and shares it with those who listen. 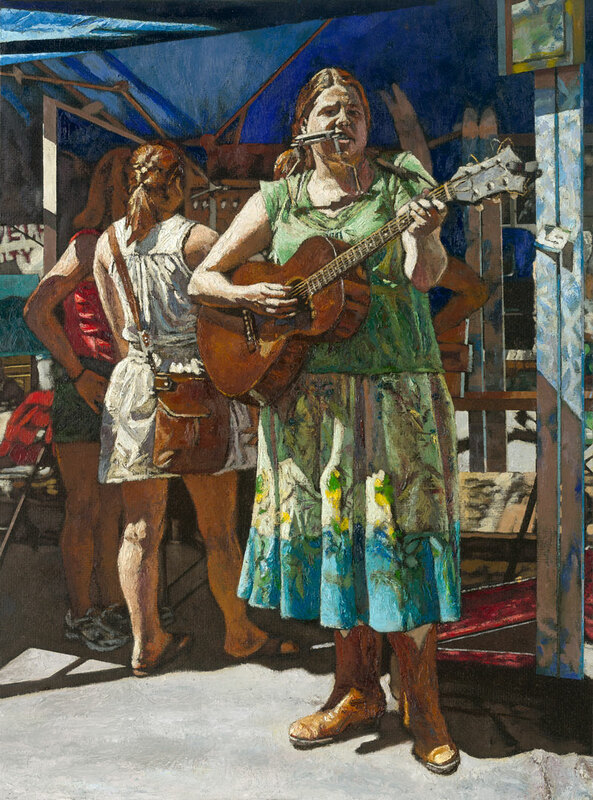 The uplifting paintings of Gary L. Wolfe will remain on view through May 29. Starlight is open to the public weekdays.